Kindasophically speaking: Is your mobile phone ZAPPING your brain? DUH! Of course it is! Isn't it obvious already? And I don't think I'm alone with that view. 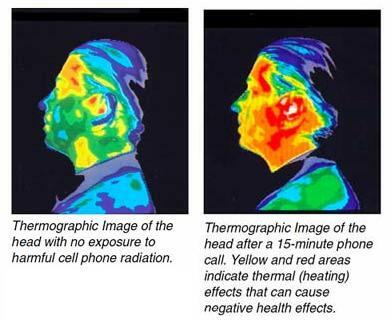 So far, although many researchers have hinted on the link between the phone radiation and brain tumors, you still don't see a Surgeon General's sticker on the side of your phone do you? That's because its either there really still is no conclusive evidence of the fact, or, that the industry including us users are in a state of denial. But looks like finally, somebody is saying different now! The LA times blog discussed yesterday, an Associate Press report that the University of Pittsburgh director of cancer research, Dr. Ronald B. Berberman has finally done what nobody else has dared to do: Publish a warning about the possible risk of cancer from frequent cell phone use. Its actually a warning published to Berberman's faculty and staff, and not a general public warning. But that is seen as a bold step.... and is based on some initial, unpublished data. Hope Jean-Luc's personal communicator doesn't give him breast cancer! If you really must talk long, use a land line, please! So what do YOU think? We've lived with the tai-kor-tai for many decades now. For the younger ones, its been there since day one of their lives... and cannot imagine life without it. Is it worth the risk? Can we just junk the phone and return to sending smoke signals? HOW? Leave me a comment.... would love to hear from you! I recently received an excel file with a video in it (wonder how they do it). 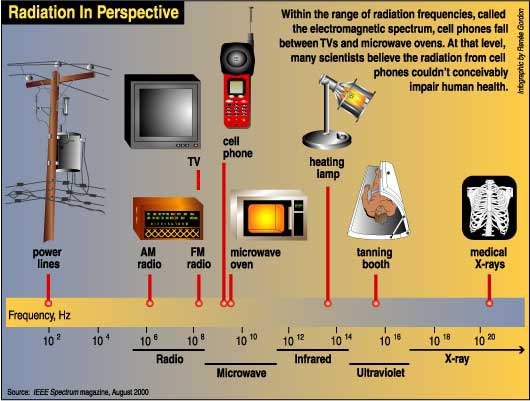 To illustrate the level of microwave generated by mobiles, 4 mobiles are placed in a cross formation (east, south, west, north). In the middle, several un-cooked pop corns. Then the phones rang and within 10 seconds, POP goes the corn! What do I think? I think I'm going to Carrefour to buy some corn and give it a shot... watch this space. Yeah, when it first came out, I thought it was a hoax too. But in truth, its an advertising campaign for hands-free kits! Not bad, they got 17 million people's attention!